อ้างจาก: NooM ที่ วันอังคาร 26 กุมภาพันธ์ 2013 เวลา 19:15 น. อ้างจาก: pipat ที่ วันอังคาร 26 กุมภาพันธ์ 2013 เวลา 19:27 น. อ้างจาก: Martra ที่ วันอังคาร 26 กุมภาพันธ์ 2013 เวลา 21:03 น. Why Those Who Know Prefer A HIGH FIDELITY TURNTABLE Instead Of A Record Changer! อ้างจาก: viceversa ที่ วันอังคาร 26 กุมภาพันธ์ 2013 เวลา 23:25 น. อ้างจาก: MuTae ที่ วันอังคาร 26 กุมภาพันธ์ 2013 เวลา 19:24 น. อ้างจาก: Martra ที่ วันพฤหัสบดี 28 กุมภาพันธ์ 2013 เวลา 10:02 น. อ้างจาก: NooM ที่ วันพฤหัสบดี 28 กุมภาพันธ์ 2013 เวลา 11:16 น. Pole series ES30, a standard size aluminum structure 300B single-ended amplifier, belonging to the company's high-end models. 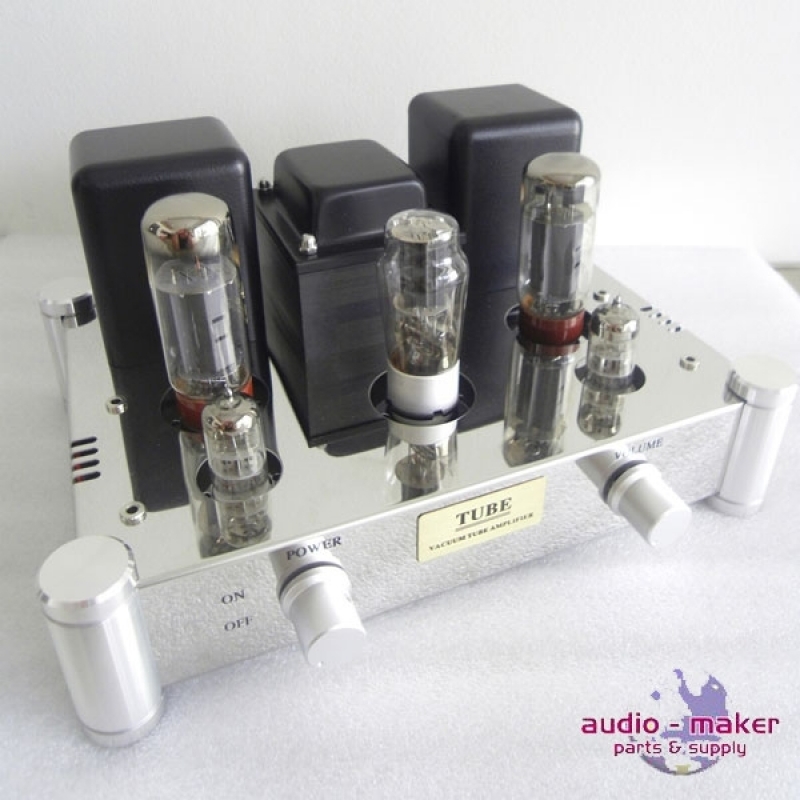 Machine using two antique Nanjing 6SN7 tubes do SRPP amplification, this circuit has a high impedance input and low impedance output easy to match with the next level of integrity, to create a wide sound field and the permeability of the high-frequency performance; 2 Russian EH6V6 four level do to promote amplification tube grafting into triode structure, this second stage amplifier straight lotus docking with the first-stage amplifier, eliminating the need for coupling capacitance affect the sound quality, this structure is conducive to enhancing the frequency response of the amplifier circuit; 2 high-performance permalloy promote transformer tube and promote 6V6 connected to 1.5 times boost low distortion amplifier, allow the use of this transformer 300B strong drive capability is the key of the highlights of this machine is a machine performance, this traditional transformer coupled pursuit of bandwidth deliberately used extremely expensive alloy material with multi-layer low leakage inductance winding structure, so that no coupling capacitors in the circuitry, not for each grade capacitor with worry, sound balanced and accurate coloration pole small; 2 Russian EH300B do power amplifier stage, brand 300B accurate sound, the overall frequency response equalization, the same operating point output greater and more stable power, very suitable sound accurate single-ended amplifier; 2 early 5Z4P do full vacuum tube rectifier, two parallel applications to ensure an adequate supply of energy. The whole power transformer capacity 300W output transformer for large open architecture vertical installation, power 35W. This is a direct heat pipe designed specifically for low internal resistance of specially designed transformers, accurate inductance, up to 11-layer winding arrangement difficult, extremely low leakage inductance, which is the key to the whole core devices sound. The circuit uses four high amplifier gain strong driving force to promote the the transformer use of the machine can do big negative feedback loop, better transient performance is less than 5% distortion when the output power of 9W. The tone of the machine: a wide sound field balanced and accurate frequency response, the existing 300B of the high-frequency blooming yet dynamic, no online comments 300B low-frequency the poor speed Pianman the misunderstanding. You can say that this is one pair of speakers have a high degree of adaptability of music software high adaptability the HIFI single-ended amplifier. Equipment with the description: input impedance of 100 ohms, and three sets of signal input selection, easy to connect a CD, the computer player and FM radio, the machine is suitable with a sensitivity greater than 86DB, bookshelf or floor speakers, monitor speakers, horn speakers, full range speakers, the classical cone large caliber speakers, small caliber bookshelf speakers with excellent overall performance. 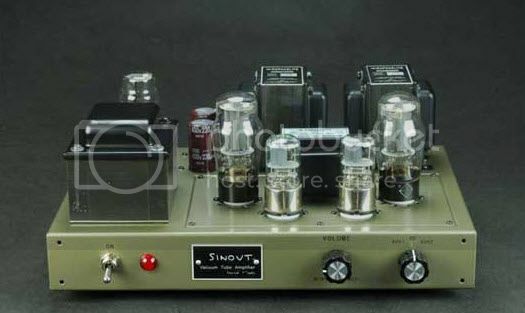 The machine output impedance of 4 ohms and 8 ohms, 16 ohms antique speakers optional antique speakers developed specifically for 16 ohm output transformer. อ้างจาก: Arty ที่ วันพฤหัสบดี 28 กุมภาพันธ์ 2013 เวลา 11:49 น. อ้างจาก: ktt ที่ วันพฤหัสบดี 28 กุมภาพันธ์ 2013 เวลา 12:13 น. อ้างจาก: NooM ที่ วันพฤหัสบดี 28 กุมภาพันธ์ 2013 เวลา 12:27 น.